First minted in 2007 by the Perth Mint in Australia, these .999 fine Silver Koala Coins have become a treasured possession for those who collect Australian bullion coins. 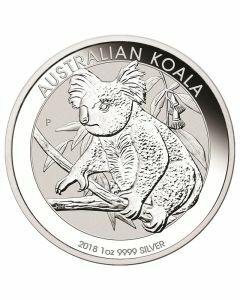 Annual design changes result in unique limited mintages for each Silver Koala Coin design, which in turn makes these silver coins highly sought after by numismatics who wish to collect all the designs that are released. They feature the regal and unique Koala bear, a marsupial that captures the essence of Australia’s inimitable wildlife. Originally part of the Royal Mint in London, the Perth Mint was established as a supplement to the minting needs of the commonwealth countries. It was initially set up to refine gold and mint gold sovereigns and half-sovereigns for the British Empire in 1899. One of the oldest functioning minting facilities in Australia, the Perth Mint is known for the quality and purity of its products. Producing several collectible bullion coins, the Perth Mint is a highly regarded name within the numismatic community who place great value on its products. The Perth Mint began the Silver Koala coins as part of a larger wildlife series of coins that showcases the rich and unique animal population that Australia contains. You will be surprised to learn that more than 80% of the fauna found in Australia are exclusive to the region. Consequently, the Australian Koala bear is featured proudly on the reverse of each of these coins, albeit with different images of Koalas each year. Each silver coin is available in four weights of pure 0.999 Silver (Ag), i.e. ½ oz., 1 oz., 10 oz. and 1 kilo. As these coins are recognized as official currency in Australia, their obverse features the familiar Ian Rank-Broadley image of Queen Elizabeth II that is imprinted on legal tender coins in Australia. This majestic portrait of the Queen is surrounded by the words ‘Elizabeth II’ and ‘Australia’, followed by the face value (monetary value) of the coin – depending on the weight of the coin. The reverse of these silver coins is what set them apart and make them valuable to collectors. All these coins feature an image of a Koala(s) with annual design changes making each coin unique and distinctive. 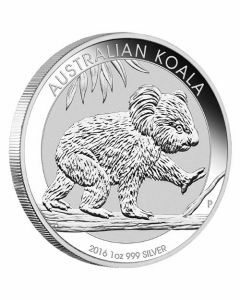 However, no matter the change in design, the unmistakable image of a Koala is instantly recognizable by collectors who hunt for these coins to complete their collections. Another great example of a silver bullion coin that is valued for its numismatic value as well as its physical precious metal fine silver content, these Silver Koala Coins make a valuable and elegant addition to any precious metals collection. In addition to being valuable, these coins make a thoughtful gift to anyone who treasures commodities or designs that capture the essence of Australia and its wildlife in a graceful manner. The prices of these coins may fluctuate depending on their annual mintages, some releases are hence more valuable than others due to their rarity and limited availability. An example of this is the 2007 Koala Silver coin – the Perth Mint minted just over 100,000 of these coins; while, they minted over 900,000 of the 2011 Koala Silver coins. 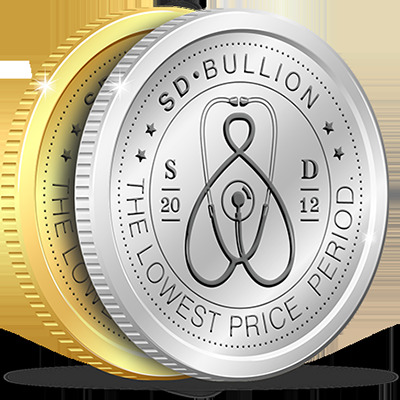 Guaranteed by the Australian government, you can buy official Koala Silver Coins at great low prices here with SD Bullion.